I know that sounds like a gag headline. But if you need to plug your phone (or other device) into an unfamiliar computer just to get some juice then you need to know the risks. 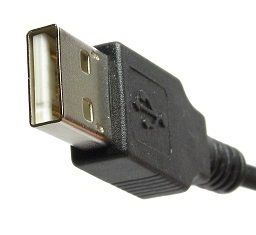 A USB condom simply blocks the current on the data channels, meaning only the power channels make the connection between the device charging and the one being charged. via ‘USB condom’ prevents device hijackings at rogue ports – NBC News.com. The most effective way to prevent iPhones from connecting to networks without the user’s knowledge is to turn off Wi-Fi whenever it’s not needed. Apps are also available that give users control over what SSIDs an iPhone will and won’t connect to. via iPhones can auto-connect to rogue Wi-Fi networks, researchers warn | Ars Technica. Over the past couple of weeks websites using WordPress have been under fire from a very sophisticated brute force attack involving over 90,000 IP addresses. Some hosting providers handled this better than others. The best ones experienced some slowness and minor outages while others simply went down for a couple of days. While it has subsided the attack is still ongoing so here are a few steps that you should consider taking to help shore up your defenses. Make sure that your plugins are up to date. Often plugin updates are released precisely because they have security holes and leaving these unattended for a long time is an open door to hackers. Don’t use administrator accounts called ‘admin’. This is akin to using a password of ‘password’. Some hosting vendors created these by default on installation. If you have one of these then create another administrator account, log in using that one and delete the ‘admin’ account. Create strong passwords. Ideally at least 8 characters and with a mixture of letters, numbers and special characters such as ^%$#&@*. If you have too many passwords to keep things straight then consider using something like Lastpass. These three simple steps won’t keep you totally in the clear but, like an alarm on your car, it should move the troublemakers on to an easier target. MicrosoftSharePoint is a great collaboration tool but is far too complex for most small businesses and home users. Fortunately the folks at Google have provided an answer that is both simple to use and totally FREE! Google Cloud Connect for Microsoft Office . Recognizing that 95% of the time Microsoft SharePoint is nothing more than a place to store and share documents Google has provided a way to merge that functionality very neatly into Google Docs . As I mentioned in my last post, the first question I ask is whether people have a backup. The second question ask is whether they have up-to-date anti-virus software installed. A shocking number of people fall into the group of having anti-virus software that hasn’t been updated since their trial period ended, and yet still believe they are protected. Let me make this clear – if your subscription has expired then you are NOT protected. But who can blame them? Anti-virus software is expensive, isn’t it?